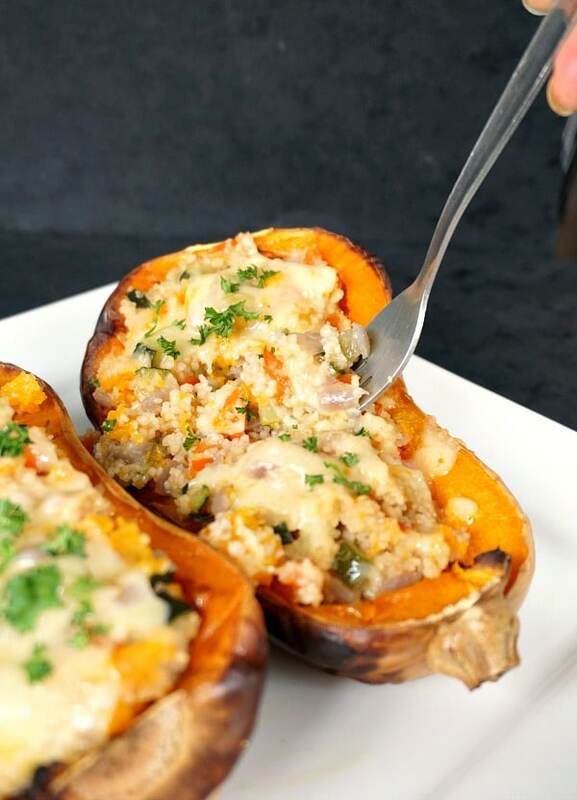 Stuffed Butternut Squash with Couscous and Vegetables, a delicious and healthy vegetarian dish inspired by the colours of Fall. A great dish for your Thanksgiving dinner, but also fantastic all year around. And even the taste makes us think of Fall, the delicate sweetness of the roasted butternut squash combined with the awesome fluffy texture of the couscous make a great meal that even fussy ones can’t refuse. There’s still some time left to prepare all those amazing dishes for Thanksgiving. Fall is still here, although, judging by the weather and the christmassy atmosphere, it looks more like winter. 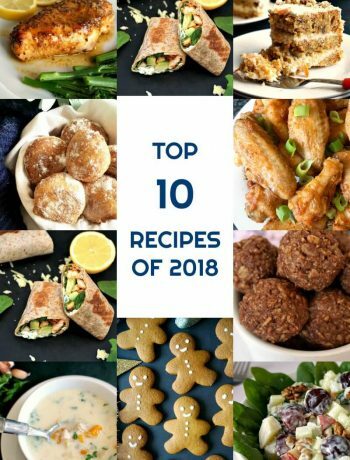 So, why not add one more dish to that never-ending list of goodies you have planned for the big day? It’s dead easy to prepare this couscous stuffed squash, and will surely be a big hit. 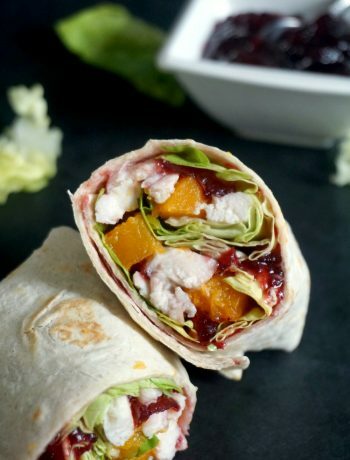 Butternut squash, (along with the ever so popular pumpkin and sweet potato), becomes everybody’s favourite vegetable this season, and rightly so. It’s super healthy, delicious, and usually kids loves it. 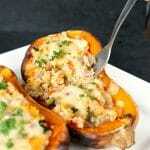 How do I make stuffed butternut squash? Before stuffing the butternut, we have to roast is first. 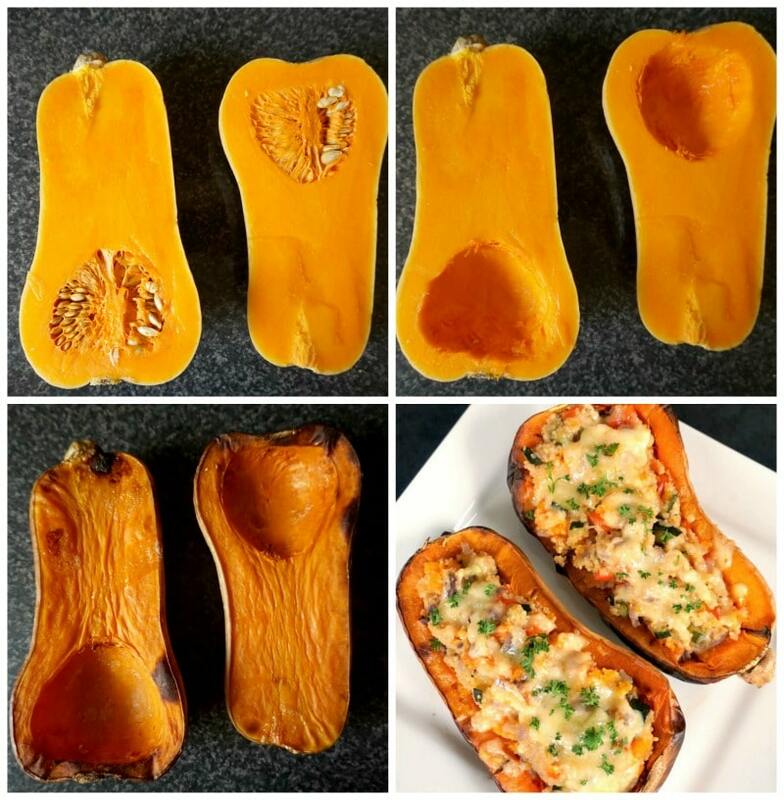 I have never tried roasting a whole butternut squash, but the easiest way to do it is to cut it in half lenghtwise, scoop up the seeds, then drizzle some olive oil over. The butternut squash has to be roasted at 200 degrees Celsius (390 Fahrenheit) for one hour, or until soft. Once it’s cooked, use a spoon to scoop up the flesh, leaving about half an inch at the edge, then you can use the flesh together with the other ingredients for the filling. Couscous can’t be easier to cook. All it needs is boiling flavourful liquid (or just water) to make a meal in less than 5 minutes. It can be plain and boring on its own, l know. But once it absorbs the wonderful broth, it becomes sheer goodness. Even my fussy-pants daughter likes it. It really must be nice then!!! Add some extra cheese for a total cheesy experience. If you choose not to top the squash with cheese, then you’ve got a wonderful dish suitable for vegans too. So many ways to transform this dish, just make it the way you most like it! Or perhaps try swapping couscous with rice or orzo? That should be an interesting change, but can’t see why it won’t be a successul one. 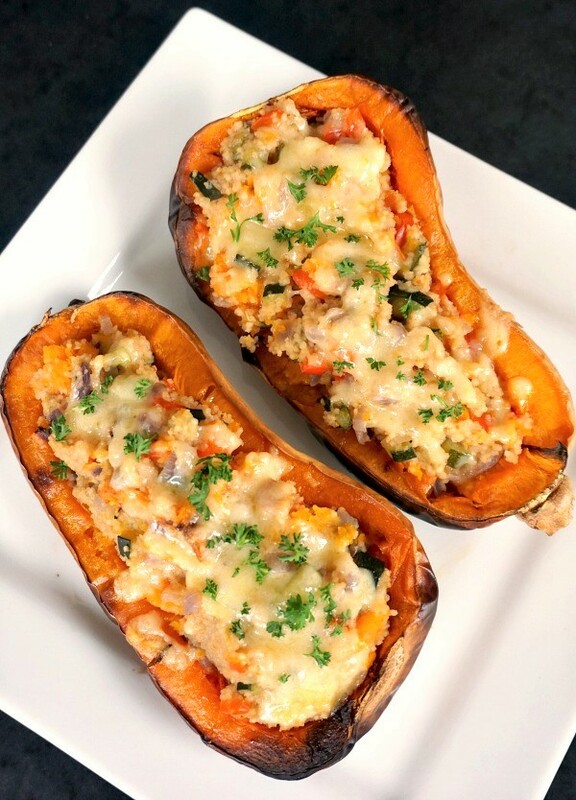 If you’ve tried my HEALTHY VEGETARIAN STUFFED BUTTERNUT SQUASH or any other recipe on the blog then don’t forget to rate the recipe and let me know how you got on in the comments below, I love hearing from you! You can also FOLLOW ME on FACEBOOK, and PINTEREST to see more delicious food and what I’m getting up to. Stuffed Butternut Squash Stuffed with Couscous and Vegetables, a delicious vegetarian dish inspired by the colours of Fall. 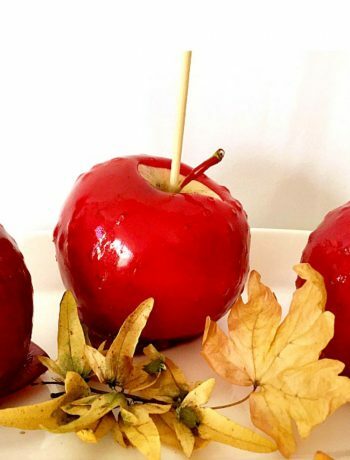 Healthy, and so easy to make. Scoop out the seeds and place the two halves on a baking tray. Bake for an hour until the flesh is soft. Heat up the oil in a pan and add the onion chopped finely. Fry for 2-3 minutes until it softens, then add the chopped courgette and red pepper, give them a good stir, add the vegetable stock and boil for 15 minutes. Use a spoon to scoop out the flesh from the butternut squash, leaving about 1 1/2 cm around the edges. You can add some of the flesh to the pan. I enjoyed the rest of it on its own, it’s super delicious! Take the pan off the heat, add the couscous and place a lid on the pan. After 5 minutes, remove the lip the fluff the couscous up with a fork. Season with salt and pepper and mix in the tomato purée. Stuff the butternut squash halves with the couscous, sprinkle some grated cheese over, and bake in the oven for a further 5-10 minutes. Thank you, Jay! It’s a delicious low-carb recipe.